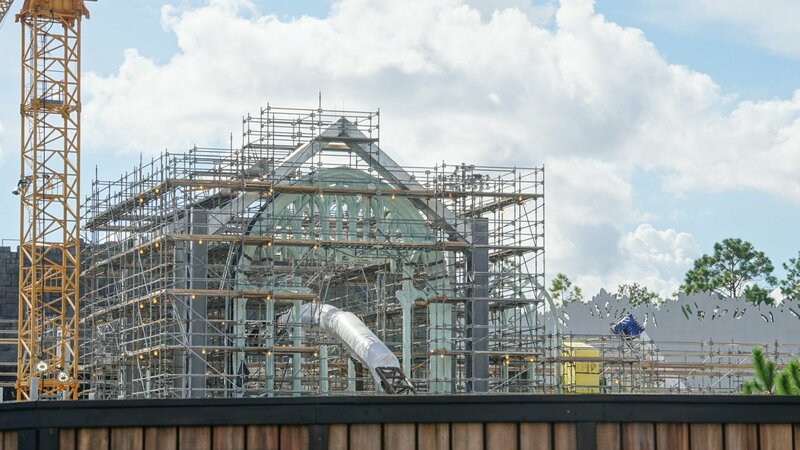 View of the very large themed show building in the Harry Potter roller coaster site today and 2 days ago. 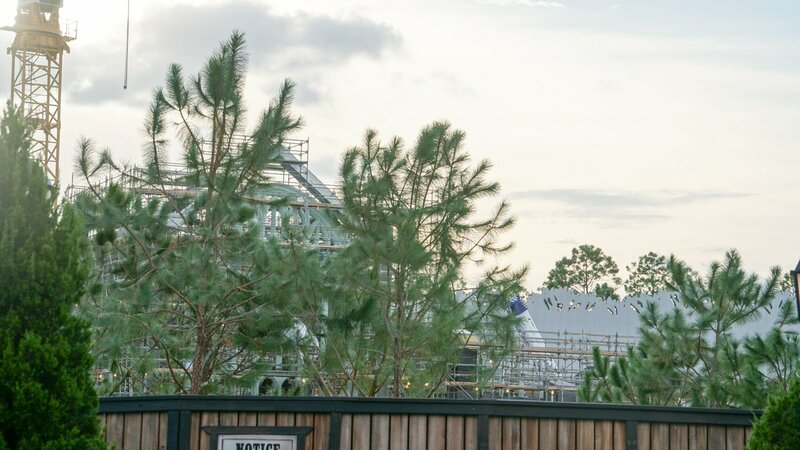 The "forest" is growing and beginning to close of views of the ride construction. 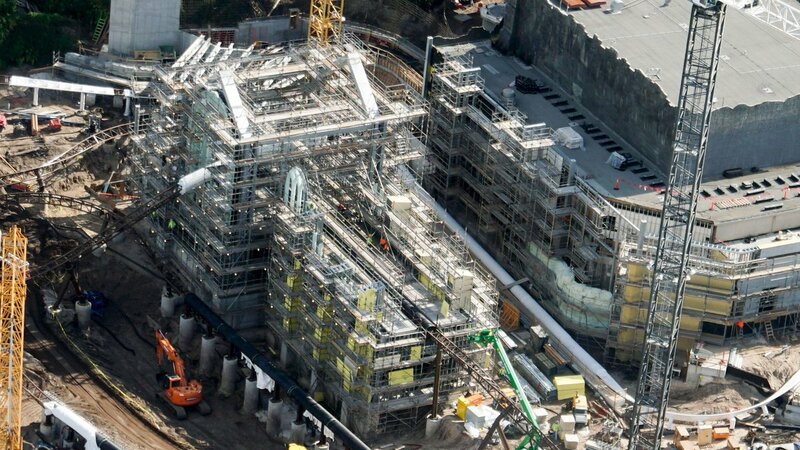 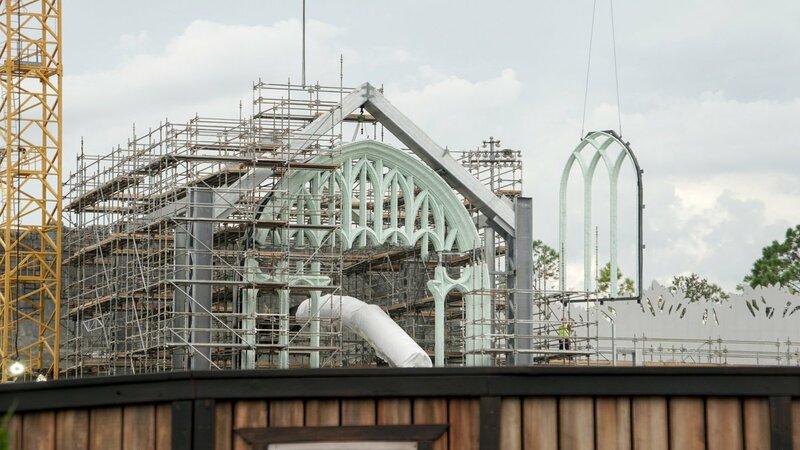 Here is the most recent update for the Harry Potter Coaster including photos and videos. 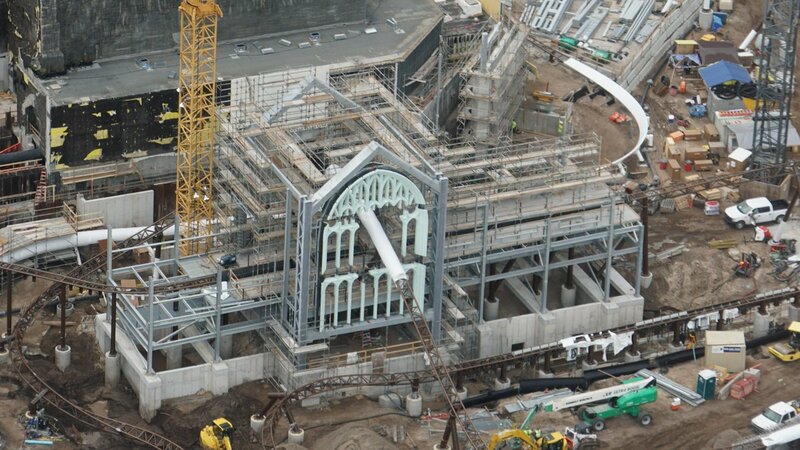 It just keeps looking better and better. 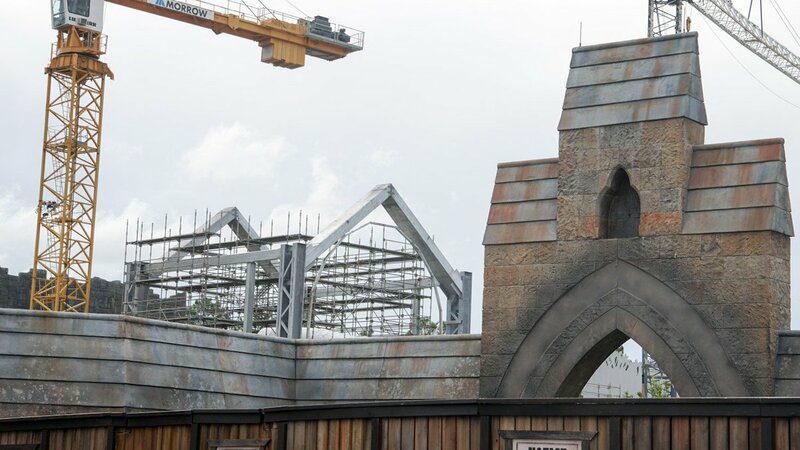 Pottermore has released the first piece of promotional art for the upcoming coaster. 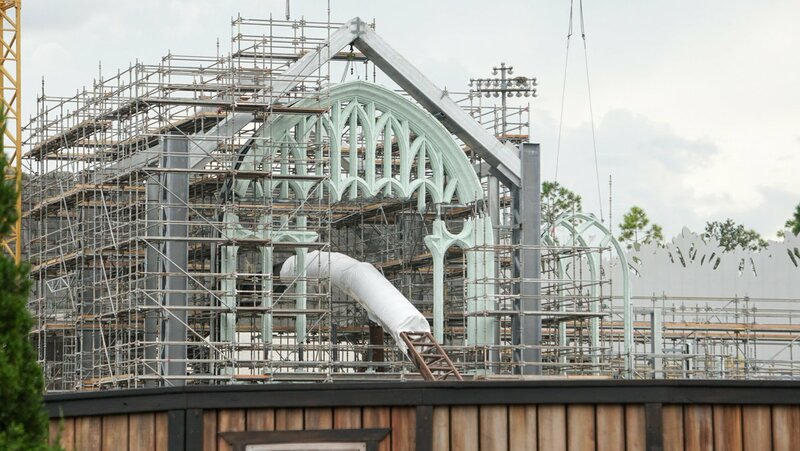 Roof beams at what may be a Hagrid's Hut scene in the Harry Potter roller coaster. 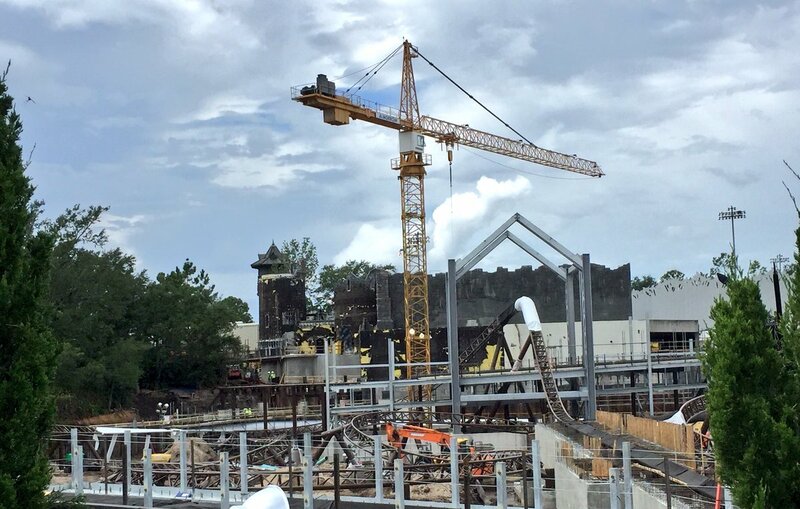 Construction is moving along on the Harry Potter coaster. 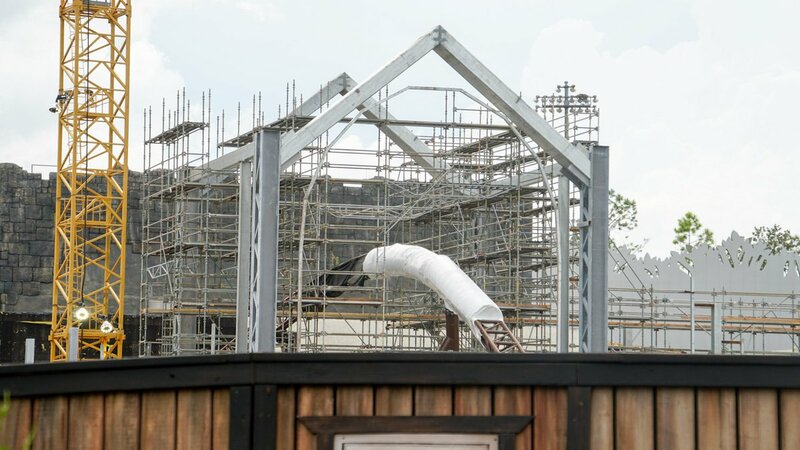 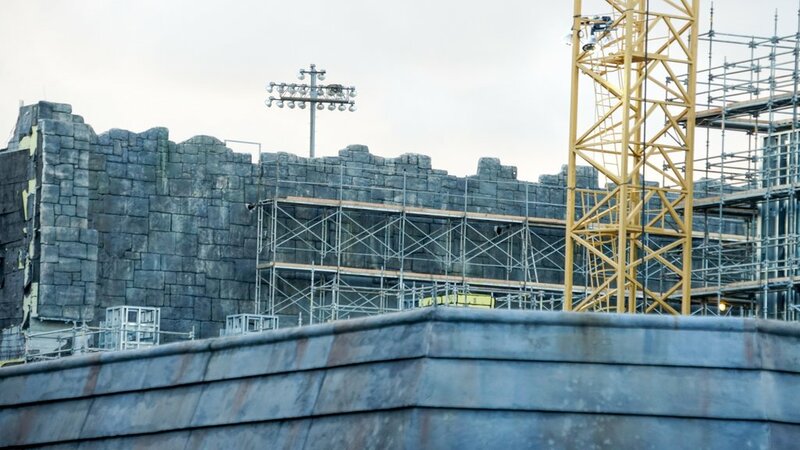 Theming is starting to show up on the new structure that the coaster will do a drop/curve in and will also be the final scene before entering the station.